3 Household Plumbing Repairs You Should Know How to Do | Weilhammer Plumbing Co. Inc.
← What is the Difference Between a Cesspool and a Septic Tank? Whether a home owner or renter, it is wise for you to know how to repair common plumbing mishaps and defects. 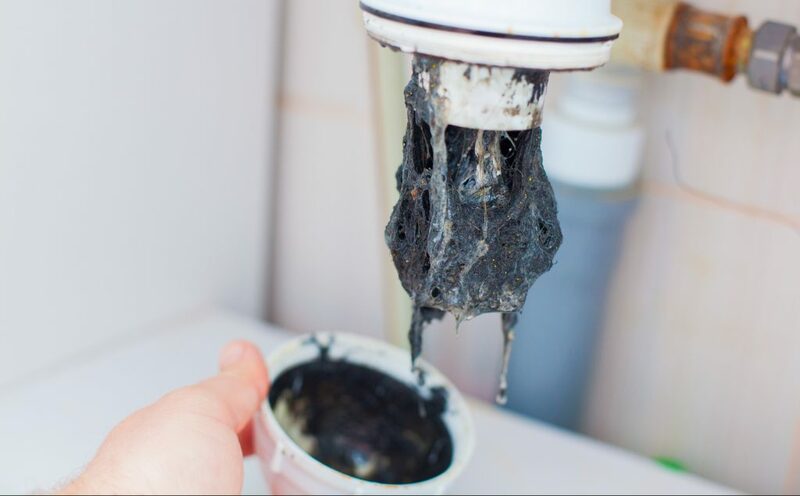 Not only will this save you valuable time and money, it will give you a sense of security knowing that you can face a plumbing disaster if one were to ever arise. Continue reading to learn some common plumbing problems that you should know how to solve on your own. Your first step to managing at-home plumbing repairs is obtaining the proper emergency plumbing kit. These kits can be purchased at any local home improvement store, and range in size, quality, and price. You can also make your own emergency plumbing tool kit by gathering some of the basic supplies, such as an Allen wrench, adjustable crescent wrench, plunger, rubber gloves, plumbers tape, drain auger, and a screwdriver set. See our blog, “Necessary Plumbing Tools to Have at Home” to learn exactly what you need to make an emergency at-home plumbing tool kit. Most of the time, you don’t even need a tool to fix this common and obnoxious toilet problem. Simply remove the cover of the toilet tank to reveal the flapper and flush valve. A running toilet is usually caused from the flapper getting stuck, or the chain getting caught. See our blog, “3 Toilet Problems SOLVED!” to learn more about making simply, DIY toilet repairs. Virtually all modern, plumbed sinks have a sink trap, which is a pipe beneath the basin of the sink that connects with two other pipes. Sink traps are easily discernible since they are shaped like the letters P, J, or S. Here is where blockages usually occur that lead to sink clogs. It is also the place where lost items are found when they are dropped down the drain. Read our blog, “How to Retrieve Items that Fall Down the Sink Drain” to learn how to master this repair. A clogged drain can either drain really slowly, or not at all, both of which are equally frustrating when taking a shower or washing the dishes. Fortunately, a clogged drain is simple to fix on your own in minor cases. Take out that drain auger in your plumbing tool kit, and snake the drain until it’s cleared. If this does not work, you can use boiling water to help release any solids. A plunger can also help to loosen a drain clog. When All Efforts Fail, Call a Pro! 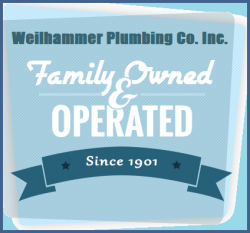 Call Weilhammer Plumbing Co. Inc. at 317-784-1870 for professional plumbing service and repair in Indianapolis, Indiana. Owner and Master plumber, Mark Weilhammer, is happy to give you free plumbing advice. Our highly trained and licensed plumbers provide a wide range of residential and commercial plumbing services; and as a family owned and operated company since 1901, you can trust us to deliver outstanding workmanship and customer support. Request a free estimate, today. This entry was posted in Plumbing Repair and tagged At-Home Plumbing Kit, diy plumbing tips, emergency plumbing services, fix Running Toilet, Indianapolis Plumbing Service, laundry room plumbing, plumbing repair tips. Bookmark the permalink.